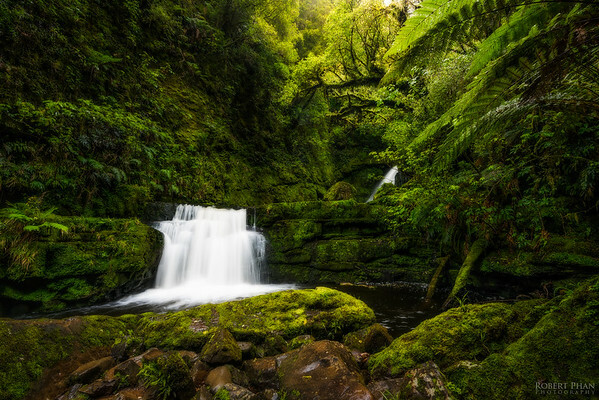 McLean Falls - New Zealand New Zealand is predominated by high rainfall through a large proportion of the year, making it a muddy and wet affair for hiking. 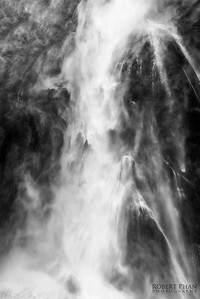 However, the benefit is it creates some of the most surreal landscapes, with great flowing waterfalls and rivers. Together with the luscious trees surrounding the falls, it made for spectacular viewing. 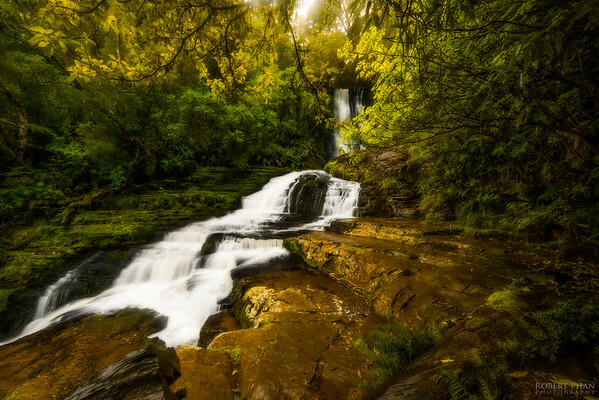 Purakaunui Falls - The Catlins - New Zealand New Zealand is predominated by high rainfall through a large proportion of the year, making it a muddy and wet affair for hiking. 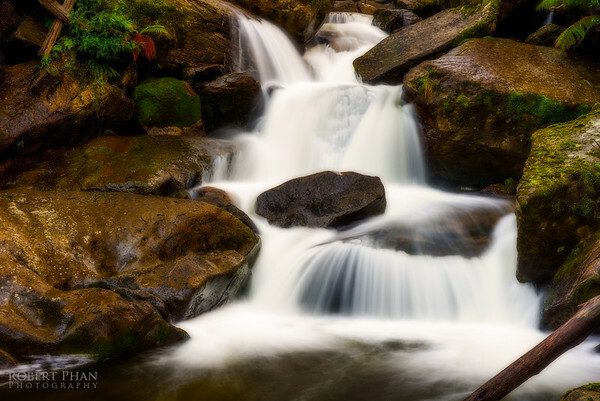 However, the benefit is it creates some of the most surreal landscapes, with great flowing waterfalls and rivers. Together with the luscious trees surrounding the falls, it made for spectacular viewing. 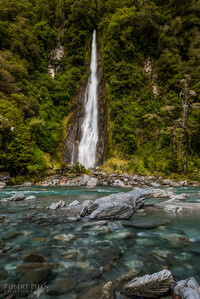 McLean Lower Falls - New Zealand New Zealand is predominated by high rainfall through a large proportion of the year, making it a muddy and wet affair for hiking. 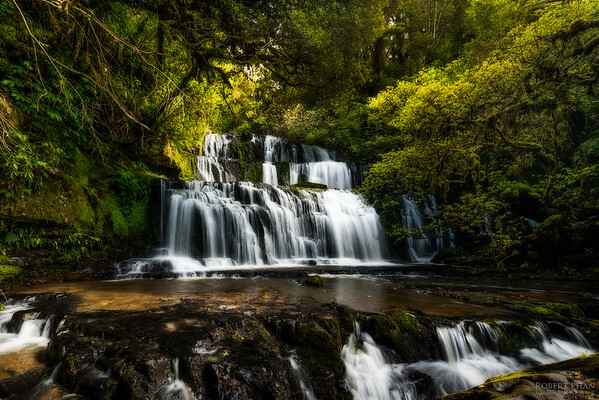 However, the benefit is it creates some of the most surreal landscapes, with great flowing waterfalls and rivers. Together with the luscious trees surrounding the falls, it made for spectacular viewing. Thunder Creek Falls - New Zealand Mt Aspiring National New Zealand is predominated by high rainfall through a large proportion of the year, making it a muddy and wet affair for hiking. 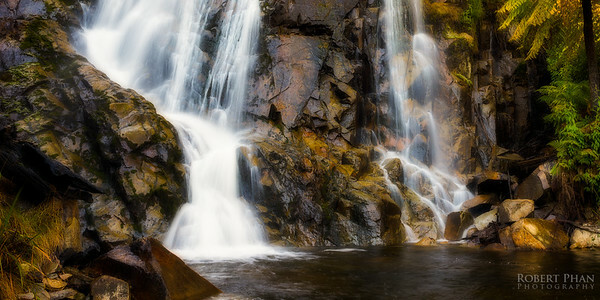 However, the benefit is it creates some of the most surreal landscapes, with great flowing waterfalls and rivers. 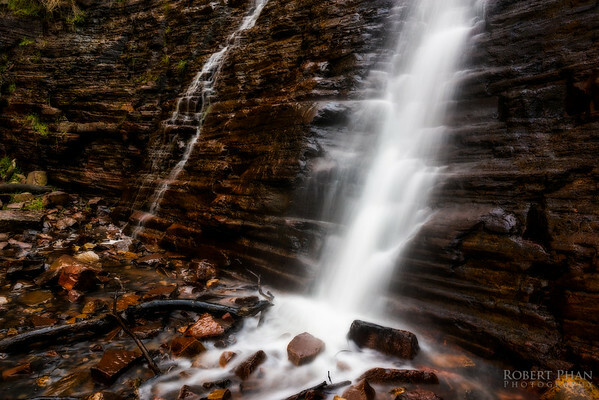 This tall fall is located right next to a river, with some of the clearest water iv'e ever seen flowing across. 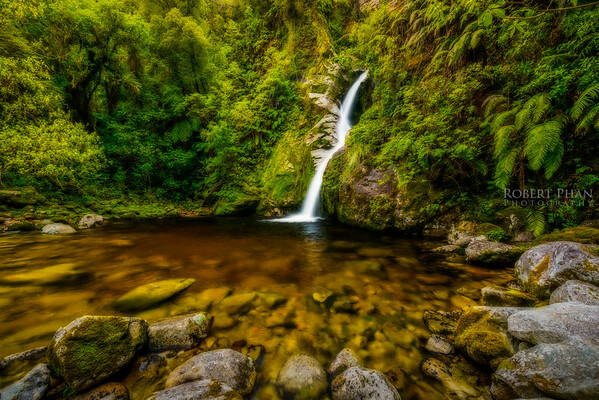 Dorothy Falls - New Zealand A relatively small waterfall, made more surreal by the surrounding ferns and rocks surrounding the pool. 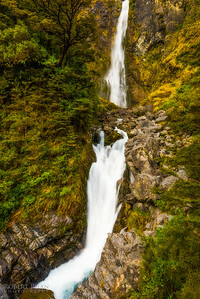 Dorothy Falls - Arthurs Pass - New Zealand A high 2-tiered waterfall located in Arthurs Pass, in a majestic setting of high rising mountains. 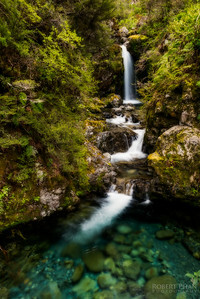 Avalanche Creek Falls - New Zealand Located in Arthurs Pass, the drive through this region is quite different from the rest of New Zealand. Surrounded by close mountains that man has slaved through in order for us to travel, even on the day we drove through here repair works were underway to stabilise the cliff faces. Thunderous Falls of Water - New Zealand The intricate patterning of water demonstrates the power of the falls as it crashes onto the rock below. 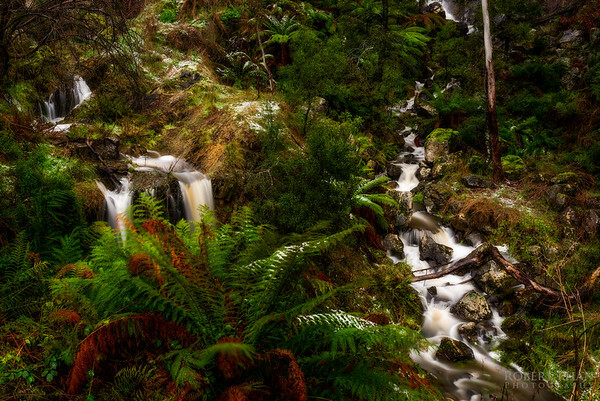 Cora Lynn Falls - Marysville - Victoria Taken on a cold winters morning at -5 degrees C, the cold weather together with ice all over the road and hiking path made for an interesting morning. 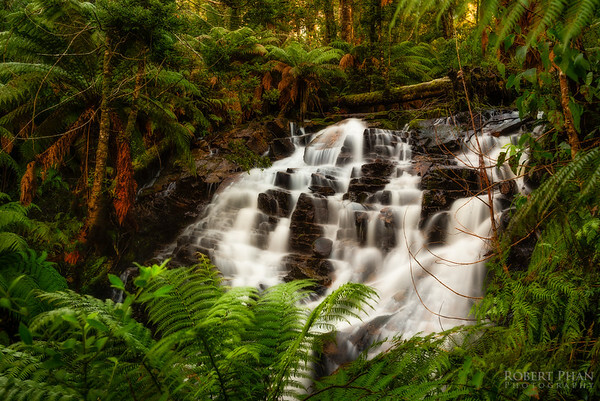 Keppel Falls - Marysville - Victoria A hike into leech infested waters allows you a view of this great powerful waterfall. 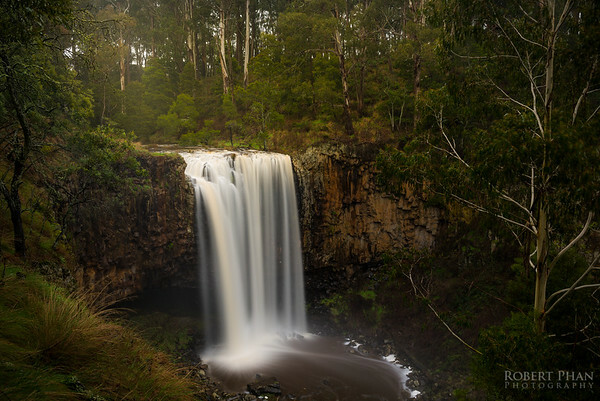 Trentham Falls - Victoria Located near Daylesford, this waterfall is characterised by powerful thunderous water, leading to a mist rising up that is highlighted by the morning sun in the form of a soft yellow glow. Turpin Falls - Victoria On this day it decided to pour, making for an interesting hike down through mud. The camera survived though, and this is its gift to us. Phantom Falls - Marysville A moderate hike on an offbeat bush track allowed us to visit this little stunner. 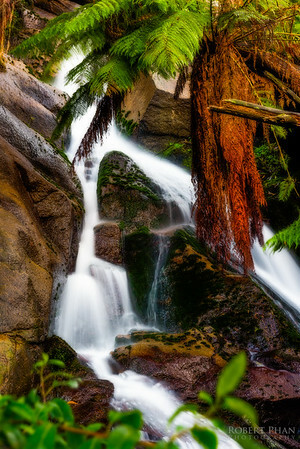 Keppel Falls 2 - Marysville A hike into leech infested waters allows you a view of this great powerful waterfall. Lower Sailors Falls - Victoria These falls are not often formed so well due to recent droughts, even rarer is snow in this region. It was a memorable day. Almost every car had stopped by the side of the road, kids throwing snowballs, making snowmen with even adults joining in the fun. 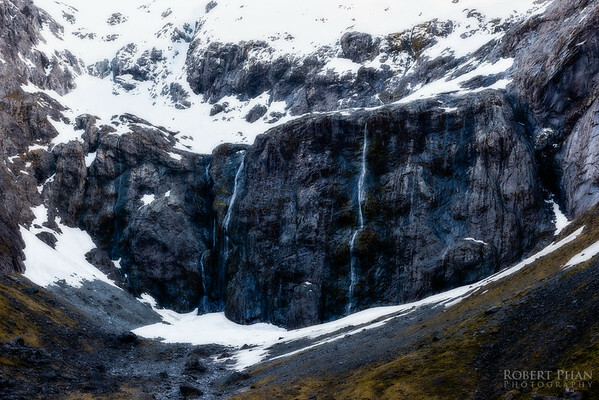 This landscape presented itself to us: gentle snowcapped falls. Cascade falls 1 - Mount Buangor State Park - Victoria One of the lesser known falls, located in Mount Buangor State Park. 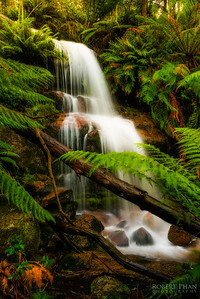 Cascade falls 2 - Mount Buangor State Park - Victoria Another view of the lesser known fall. 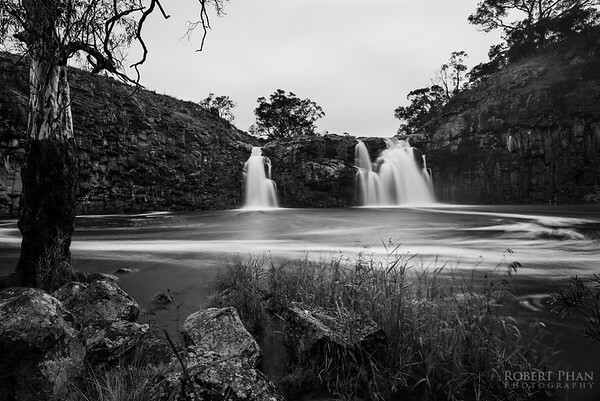 Broken Falls - Grampians Before the devastating fires. The luscious green trees can be seen throughout the landscape. 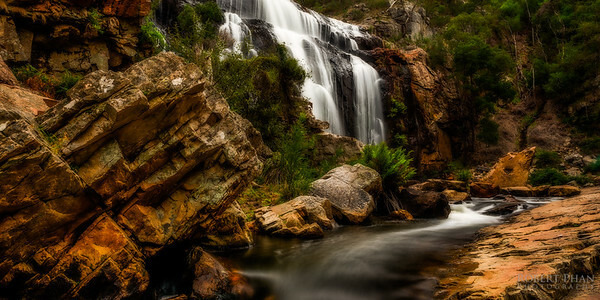 Mackenzie Falls - Grampians Taken before the fires, the green trees and foliage predominate, making for a great hiking experience. 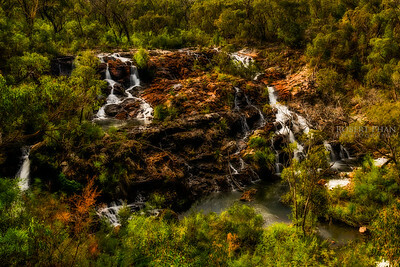 Silverband Falls, After the fires - Grampians Taken after bushfires ravaged the Grampians region, it was sad to see the devastation that had been brought upon the region, with the land scorched and deprived of most living trees and bushes. Burnt trees littered the landscape, making for an interesting hike. Rock stream - Milford Sound - New Zealand On the road to Milford Sound, this massive rock face of a mountain had slithers of water streaming down from the melting snow above. Unstable mountain rock surfaces makes venturing too close to the rock face unwise, as several people have found out in the past. Shower Cave Falls 2 - Tasmania - Australia A difficult hike in the wet down to this long abandoned waterfall. The track used to be maintained by Forestry Tasmania, but for many years has been abandoned due to a collapsed bridge making access to the site nearly impossible without a 4wd and some offroading. The paths are grown over, making the hike all that more surreal. 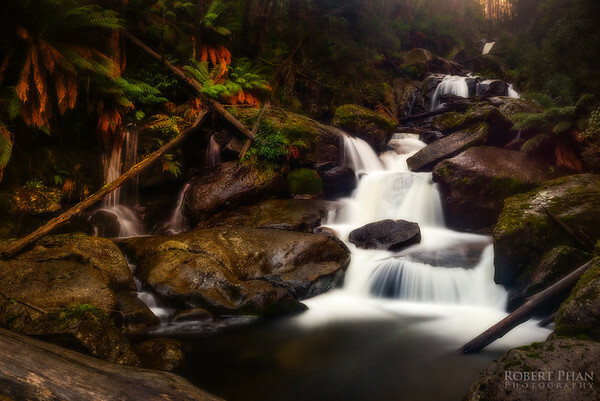 One of the lesser known gems of Tasmania. 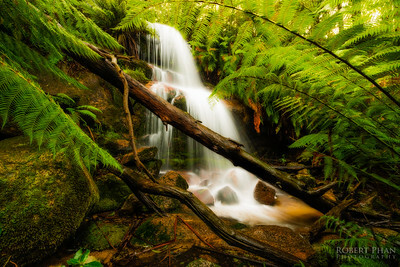 A difficult hike in the wet down to this long abandoned waterfall. The track used to be maintained by Forestry Tasmania, but for many years has been abandoned due to a collapsed bridge making access to the site nearly impossible without a 4wd and some offroading. The paths are grown over, making the hike all that more surreal. 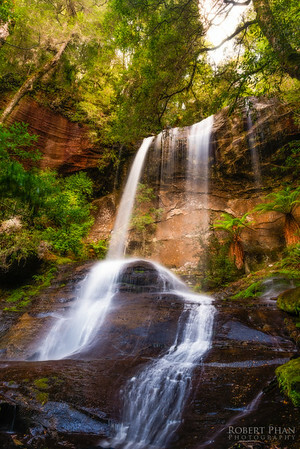 One of the lesser known gems of Tasmania.